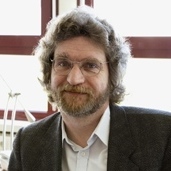 In 1995 Wolfgang Tysiak became professor at the University of Applied Sciences and Arts in Dortmund. After studying mathematics, statistics, and business administration at the University Siegen, he received a doctoral degree from the University Wuppertal. After that he worked in the private sector for 12 years, mainly in a consulting firm. During this period most of his work was organized in projects and therefore he gained a lot of experience in applied project management. At the UAS Dortmund he is a core member of the faculty of business administration. In the EuroMPM (European Master in Project Management) study program, he is mainly responsible for teaching risk management in project. Wolfgang Tysiak is author/co-author of more than 40 publications, including books, articles in journals, and contributions to conferences. Wolfgang Tysiak can be contacted at: [email protected].